Easy to Control - RS485 digital interface is Aqualink/iAqualink-compatible for pool and spa automation. **Refer to JXi manual for proper swimming pool heater clearances that may apply. 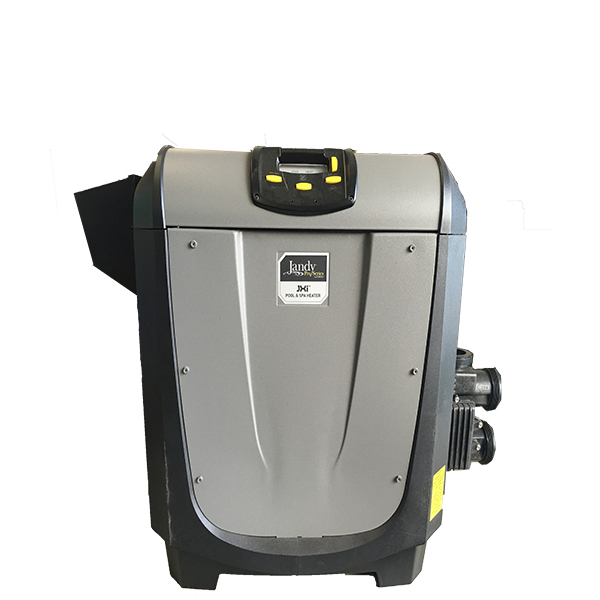 Ultra-Compact Lightweight Design - Easy to store, transport, and install, the JXi pool heater is 38% lighter with a 28% smaller footprint. Flexible Installation - 180 Degrees rotatable top so you never need to rotate headers.